Aside from criminal charges, investigations, and potential jail time, those who are suspected of committing a crime are often also required to give up personal possessions, if the federal or state governments have evidence that those assets are linked to a criminal activity. This can be devastating for wrongfully convicted victims as well as their families, so if you or a loved one have had your assets seized by law enforcement, it is vital to contact an experienced forfeiture defense attorney who can help protect your interests. In order to be subject to a criminal forfeiture proceeding, a person must first have been convicted of a crime. If the federal or state government presents evidence that certain property helped facilitate or had a significant relationship to the crime, a judge may require that person to forfeit his or her property to the authorities. For instance, if someone is found guilty of transporting illegal drugs, law enforcement may be able to seize his or her vehicle if they believe it was linked to the crime. Once a defendant has officially been convicted, the property officially becomes government property and does not have to be returned. Alternatively, the government may also force citizens to forfeit their property through civil forfeiture. In these situations, police can seize a person’s assets based only on a suspicion of wrongdoing. In civil forfeiture proceedings, no criminal charge against the owner of the property is needed. Instead, law enforcement bring an in rem charge, meaning that the charge is against the property itself. The burden of proof in civil forfeiture cases is much lower than in criminal cases, and the government must only must convince a judge by a preponderance of the evidence that the assets were linked to a crime, rather than the criminal standard of beyond a reasonable doubt. Administrative forfeiture is similar to civil forfeiture, but does not require involvement by the courts. Under this type of asset seizure, the federal government is empowered to seize banned substances, things used to transport or store controlled substances, money, or other property valued at less than $25,000. Governmental agencies are only required to show that there is probable cause that the property was involved in a crime in order to seize it. The state is then required to run an ad in local newspapers, for three weeks, publishing the intent to forfeit the property. The victims of the seizure have 30 days from the date of the second publication to contest the forfeiture in order to avoid a default judgment. 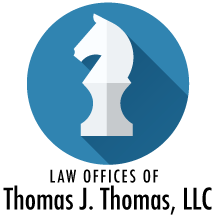 A failure to respond to a forfeiture claim can result in the permanent loss of the seized property. In Georgia, a person has 30 days to respond to a claim made against the property. A failure to do so results in the waiving of rights to challenge the claim. Georgia’s forfeiture laws are complex, so if you are in need of forfeiture help, it is vital to contact an experienced attorney who can help protect your property. 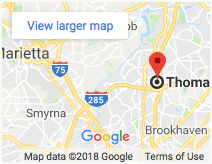 Please contact a member of our dedicated forfeiture law firm in Atlanta, Georgia, at Thomas, Webb, and Willis LLC, by calling (404) 250-1113 to schedule a free consultation.